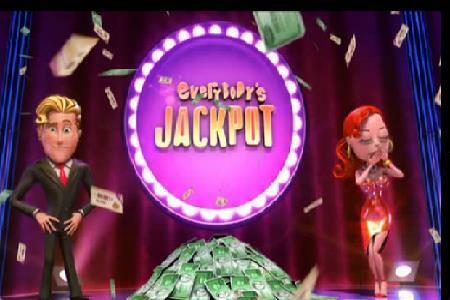 Playtech’s Everybody’s Jackpot slot progressive jackpot is usually hit every two weeks but now it hasn’t been won for a month and it has grown to more than $480,000. The jackpot is won by via the 3×3 reel, 8 payline slot of the same name. There is no trick to winning the jackpot; it is randomly triggered so it is definitely due to be hit in the near future. It is a slightly unusual progressive jackpot in that some of it is shared between other players who have been playing the game in the 24 hours before it is won. The winner receives 70% of the jackpot, 15% of it goes to all the players that have bet a minimum qualifying amount on the game in the last 24 hours and the remaining 15% is split proportionally to all the players that qualify based on the bets they have placed in the last 24 hours. This means that the more you bet, the more you are likely to win. The jackpot is normally won every couple of weeks and on average pays out around $320,000. The largest ever win was $553,449 while the smallest was $73,647.